Show your Car with Pride! Convert your Garage into a Showroom! Best present for the One that has everythibng! Add your Car! It's Easy & Free! Designing a Pridemat Car Mat is easy! Try and play with any available mat! 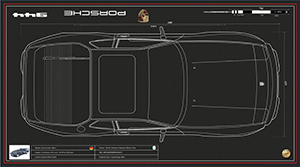 Choose your car’s Blueprint from our collection. If we don’t have it, we’ll add it for FREE to our database. Get ready to enjoy the experience of designing your Pridemat! Choose a Background, Parking Orientation, Dimensions (mm or in), Frame, Border, Brand Logo, Car Emblems, write up to 6 Data Fields and Up-load your Favorite Picture. Create your unique and awesome Pridemat! We’ll edit your customized design to professionally prepare and print your Pridemat using the best quality garage floor material and plasticized flexible CMYKW inks! We’ll deliver your customized Pridemat to your front door. Use our Introductory Coupon mypridemat for 10% OFF! Our sophisticated Designer Tool will let you easily customize your Pridemat and compare different configurations. Choose from our high quality realistic Backgrounds: Original Blueprint or Carbon Fiber textures. Create a personalized parking spot in your garage where you will be proud to show your car! Don't see your vehicle make and model? If you don’t see your vehicle as an option, simply submit a request and Pride Mats will add the design elements for FREE within a few hours. Just provide your vehicle’s Make, Model and Year, and you will receive an email notification letting you know when your elements are available in the Designer Tool! We’ll get your cars’ correct BLUE PRINTS. You can include owners’ name, technical specifications, awards, pictures or any info you want! Copyrights included! 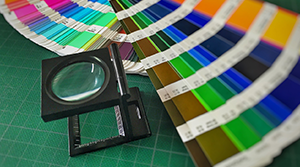 Full color printing with the highest quality flexible inks, including two layers of white, using state of the art UV print technology and the best USA made garage floor materials. 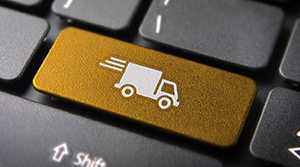 We’ll ship your Pridemat in a sturdy telescopic tube for easy unpacking and installation. Just roll it out, protect your floor and create an amazing garage for you to park and show your car with Pride! If you have ordering or process questions please feel free to contact us!